Welcome to day 3 of this month's Neat and Tangled release week. All of the products shown this week will be available in the NT store on Friday morning. I love the sweet sentiment. 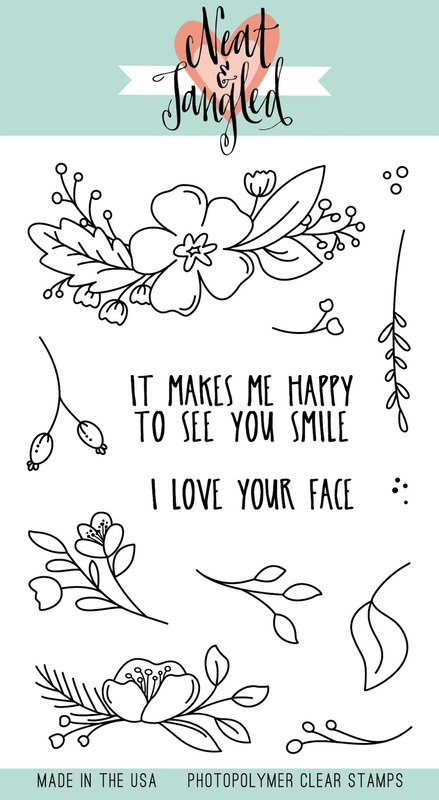 We hand-make these cards to show our hearts, don't we? To make our friends and family smile and know how much we care. I hope you like this look at my first-ever floral set! Let me know what you think before you leave - there will be a winner chosen from among the blog comments at the end of the week, to the tune of a 25$ gift card to the NT store. Be sure to check out the Neat and Tangled blog this morning - the design team knows what to do with florals more than I do - I was blown away to see their creations! click! You designed a beautiful set - congratulations! And your card is lovely. The contrasting mint center really makes those flowers POP. This set is really amazing!!! Wow! Congrats on your beautiful stamp set!!! Love these bright colors!!! Awesome card!!! So pretty! Love the coloring and layering! Lovely new set! 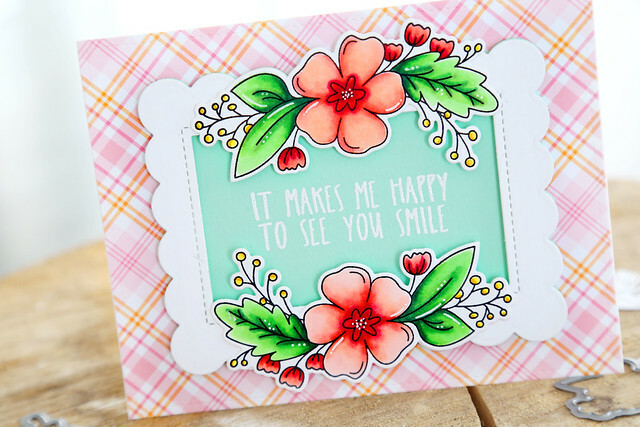 Love your floral set and the card you created! Love that peachy color. To be on a plaid background sealed the deal for me. Love this set so much. You made such a wonderful job designing this floral set !! Congratulations !! Very pretty--I like the framing. You did a wonderful job designing this set. Your card is so sweet. You designed some beautiful florals in this set. Congrats on the lovely floral stamp set you have designed! Also love the card you created — very pretty colors and composition. Great great card design! I like how you stamped twice to “frame” the sentiment. 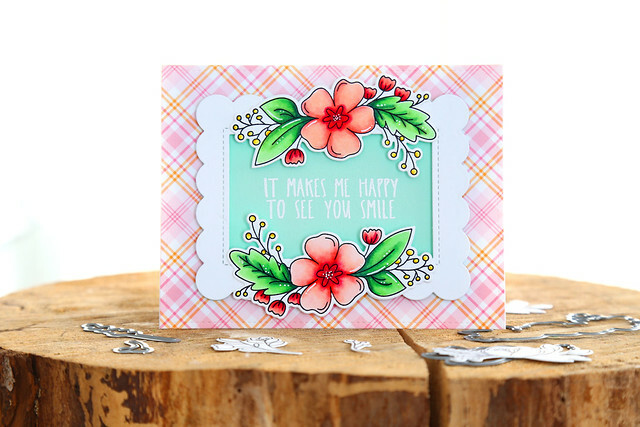 Your card is beautiful...love that plaid background and your color choices! The floral sprays are so pretty and make such a sweet focal point! I love your color scheme and your coloring is amazing! So sweet and pretty. I love the color combo! This is such a beautiful card :) Love the colors and the design! Pretty card with amazing colouring.